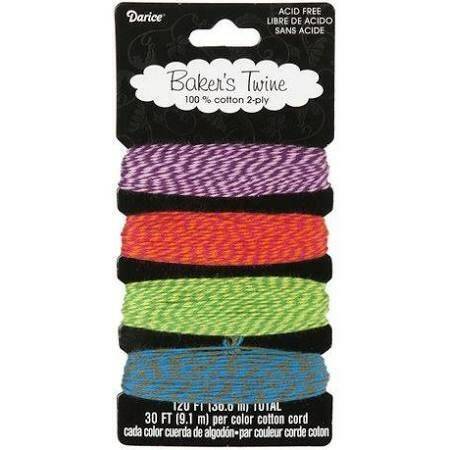 Bright colorful bakers twine from Darice. Acid free, 100% cotton 2-ply Baker's twine is perfect for your crafting projects. This is a set of 4 colorful twine, purple/pink, red/orange, light green/dark green and blue/grey.